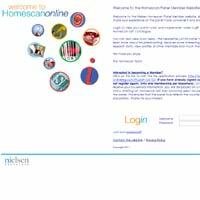 Nielson Homescan is a panel of members who enjoy shaping the products of tomorrow. In 2006, their Australian panel expanded to 10,000 households, thereby making it the largest consumer panel per capita across the globe. The Nielson Company, who offers services in over 100 companies making it the leading marketing information company in the world, owns Nielson Homescan. If you are interested in becoming a panel member, fill out the required information on the Nielson Homescan website. The types of questions asked include demographic information such as education level and number of members living with you. Households are then randomly selected to ensure a diverse range of the population is reflected in the collected market research data. When your name is chosen, you will be sent a handheld scanner free of charge to use at home. Then you simply scan your usual purchased items and once each week the scanner automatically transmits this information back to Nielson, who in turn send this data anonymously to their clients. After a household has been chosen and begins participating in the home scanning process, they earn rewards for their time and effort with special points. The greater the number of purchases the panel member scans the greater the number of points they will earn. Points are earned on all types of purchases, from groceries to electronics. Panel Members are able to log in at any time to view the total number of points they have collected. Points are accumulated through the home scanning process, and members are given the option to complete surveys as well in order to earn more. 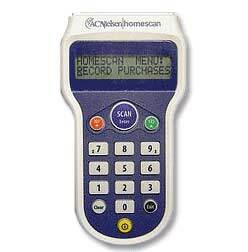 Once enough points are accrued, members can order a reward gift from the Homescan Gift Catalogue. Scanners are sent to members free of charge along with a return envelope with pre-paid postage. There are no extra charges for data transfers – the entire process is free. All that is required is an existing landline or Internet connection.